Delicious Cancer Prevention - Probiotic Turmeric Soda! The health benefits of curcumin have long been established. In fact, this active ingredient from turmeric has been part of both modern and ancient medicine for treating various cancers of the skin, breast, gastric, and colon cancer. Its anti-inflammatory property is considered to be one of the most important characteristics for its cancer prevention benefits. There is however a limitation when it comes to making the most of turmeric. This spice (and its active ingredient) is difficult for your digestive system to absorb. Therefore, it is important you consume it the right way to benefit from its anti-cancer benefits. Scientists have come to the conclusion that the easiest way to take turmeric is to consume it after fermentation. Studies conducted on rats showed that the bioavailability of the spice increased significantly when fermented. The results of these studies were published by the International Journal of Food Science & Technology. The rats fed on fermented turmeric were found to have higher percentage of plasma antioxidants compared to those that were given turmeric in other forms. These studies proved that fermenting turmeric before eating it will transform curcumin into a form that is easily digestible. The scientists named this form as ‘metabolite’, which was found to be rich in anti-cancer and anti-inflammation ingredients. So How to Ferment Your Turmeric? You may use turmeric powder in place of raw turmeric. But we will always recommend the spice in its raw form to get the best results. 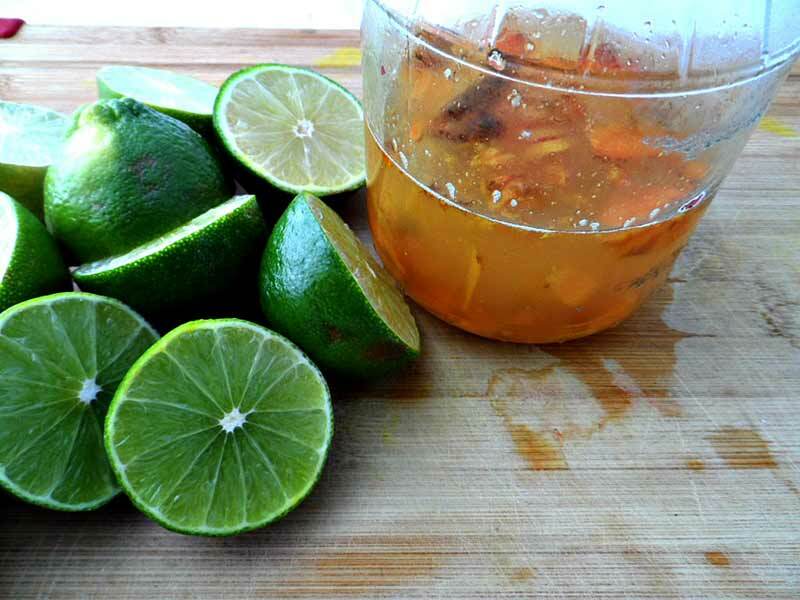 Turmeric lime soda is a great recipe that can help you enjoy all the health benefits of turmeric. It will soothe any pain, reduce swelling, and help in improving digestion. It is also easy to prepare and helps you supply curcumin to your body in its digestible form. You may also use a combination of both lime and lemon. Close the lid and leave it in a place away from sunlight for 3 days. If you are preparing it during the winter, it should be left for 5 days. Make sure to stir slightly from time to time. Strain off the fluid into bottles and let it carbonate for 3 days. Now you can keep it in the refrigerator. After one week it will start tasting like vinegar. It will slowly start fermenting. Make sure to stir it properly before drinking. Your delicious, anti-cancer tonic is ready. It will have a slight frizz due to the fermentation of turmeric and honey. You may add some stevia to further enhance its sweetness, but usually it is not required. It will not only help with cancer prevention, it is also loaded with probiotics which are beneficial for your gut.